Plus a few versions also worth looking at. 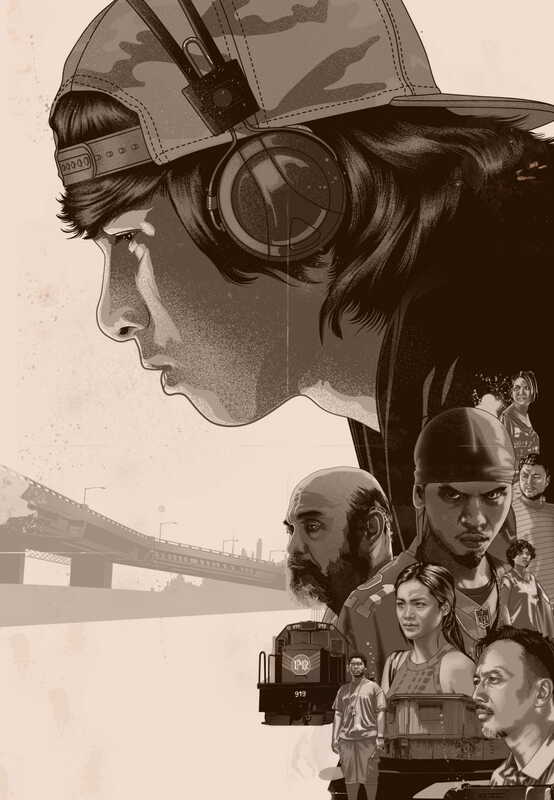 Treb Monteras II’s Respeto won big at Cinemalaya this year. 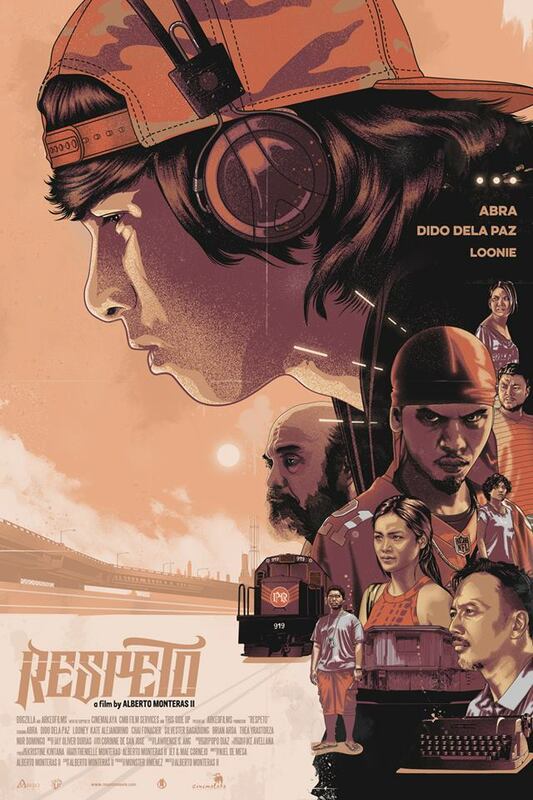 The film paints a picture of the Pinoy underground hip-hop scene, and tells the story of an aspiring young rapper named Hendrix (played by Abra) who struggles with a life of crime and poverty until he meets an old poet and Martial Law-era activist named Doc (played by Dido de la Paz). 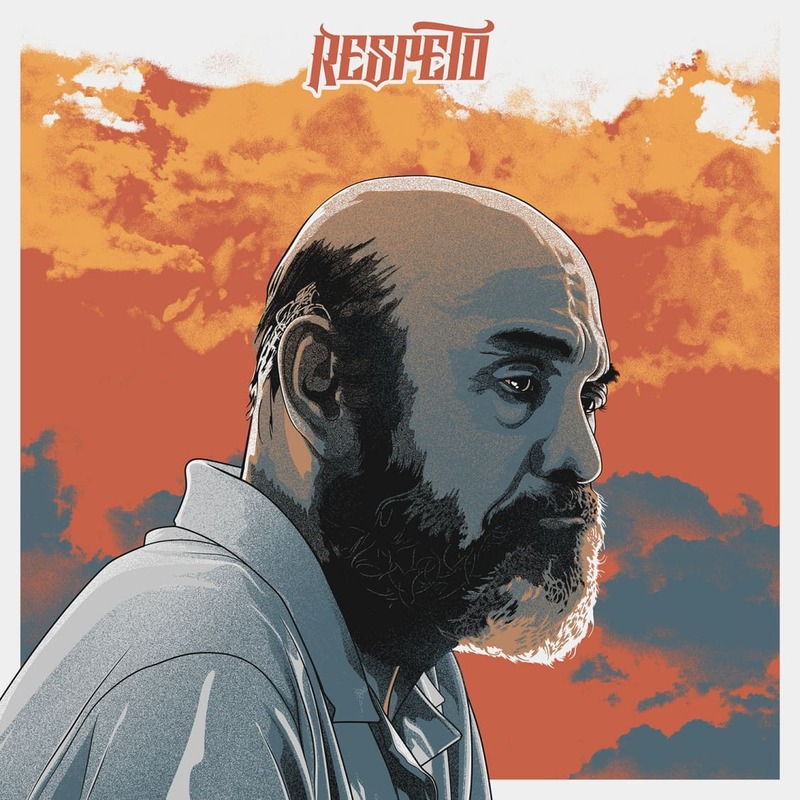 At the Cinemalaya Awards Night, Respeto took home Best Film, Best Supporting Actor for Dido de la Paz, Best Sound, Best Editing, the 2017 Network for the Promotion of Asia Pacific Cinema (NETPAC) Award, and the Audience Choice Award. On top of all these, and perhaps most importantly, the film scored a nationwide screening, which starts tomorrow, September 20. 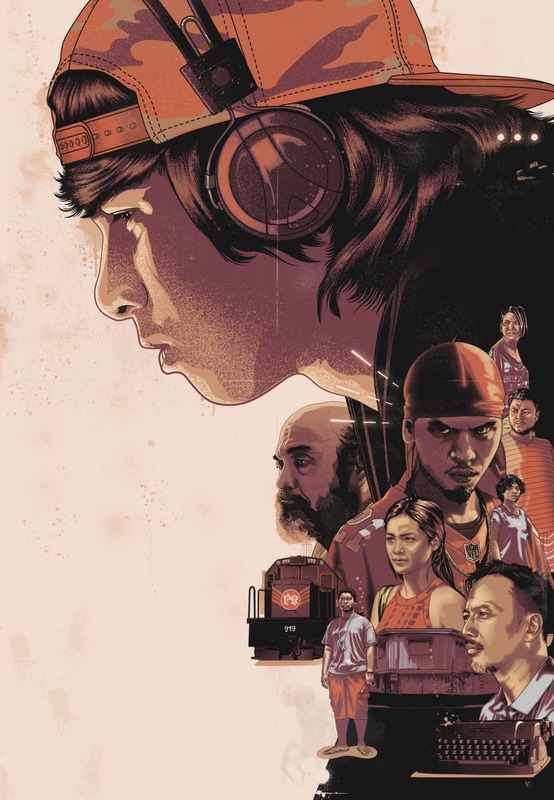 The filmmakers had commissioned an illustrated poster from film artist and entertainment designer Vincent Aseo, who enlisted the help of fellow illustrator Marjun Lazarte. 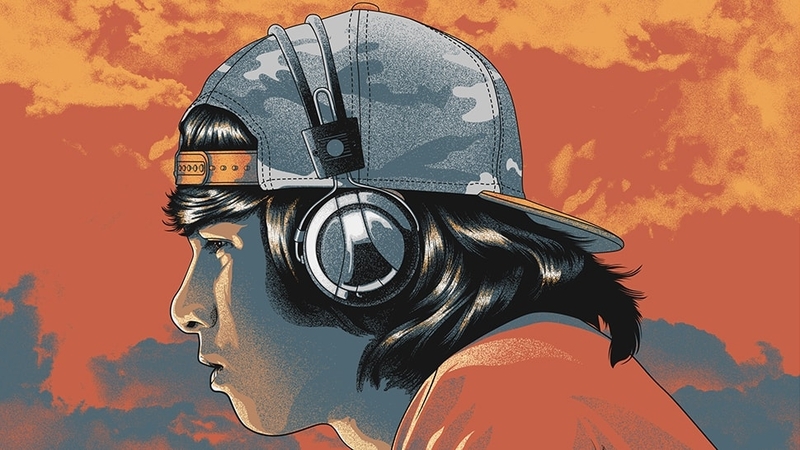 Together, they put together an incredible work of art using digital illustration. We spoke to Aseo about how the poster came to be, including drafts and an alternate version that didn't make the cut. Walk us through your process for making this poster. How did it all come together? A couple of years ago before the actual screenplay for the movie was written, Director Treb Monteras had asked me to do the film’s poster with just a brief description of the film. 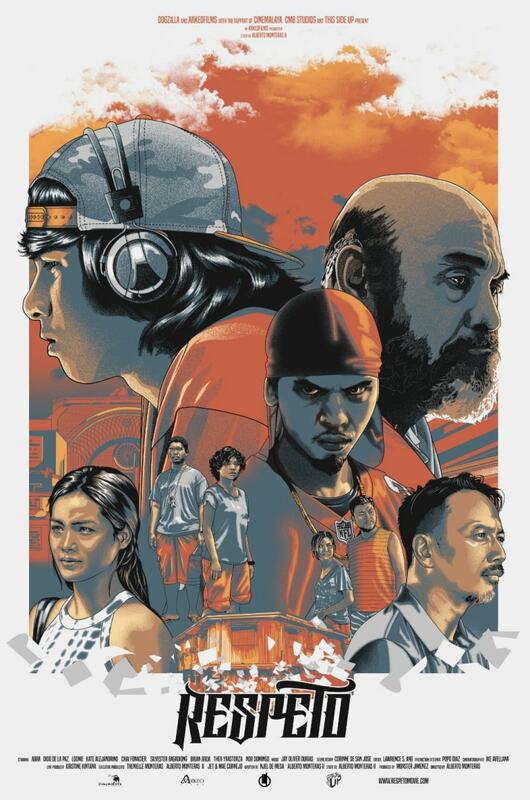 When the film was finally produced this year, I had Marjun Lazarte, a colleague, work on the art with me because he’s more immersed in FlipTop and the local hip-hop scene, and his input has been of great value in creating the poster. We worked on the poster with just the trailers, some behind-the-scenes photos, and stills from the film. I only got to watch the film during its premiere at Cinemalaya Independent Film Festival. It’s a give-and-take process—I don’t necessarily need to see the entire film to create art for it. Sometimes a trailer, some stills, and storytelling is all I need. 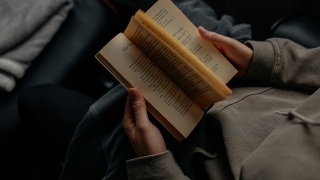 Marjun and I know each other’s workflow very well, so it was a breeze splitting the work. He worked on the characters while I did the main elements and general composition of the poster. We [did] it straight digital, so there were no sketches. As with other projects, it’s always the timetable and meeting the deadline. 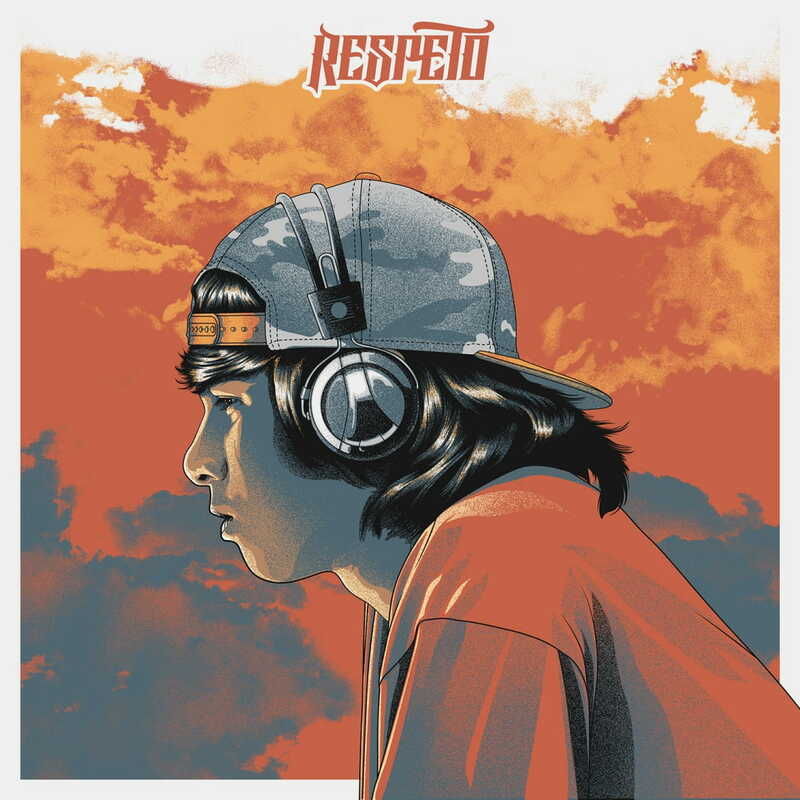 We only had a little over a week to work on Respeto because at the time I was told that the film was done and Treb needed the poster, we were working on other projects. There was the pressure of having little to no room for error since we had limited time to actually draft. The mindset for this project was whatever we were going to make was the final and official version of the poster. Did you draw inspiration from anywhere in particular to create this poster? I wanted the poster to be a nod to the handpainted and illustrated posters of the late ’80s to early ’90s, similar to that of [Drew] Struzan and [Bob] Peak’s works, while also keeping our style. It was essential for us to have the grainy look because we felt that without it, it would seem like every other clean and polished poster produced locally. The ultimate affirmation came from Director Treb, the cast, crew, and audience who’ve seen the film and voiced out that they genuinely loved the work. In what ways does this poster suit the movie? We had two drafts and ended up choosing the aged version. It’s a matter of where our gut led us, what colors to choose, and what expressions to give the characters to show the mood of hopelessness and despair. 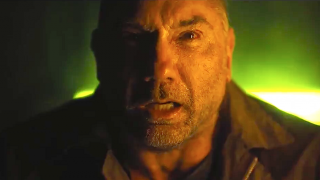 We also both felt strongly about making it a bit gritty to reflect the film’s general look and feel. The version that didn't make the cut had a different composition. Alternate color scheme for the approved version. Have either of you worked on other movie posters before? We both have worked on movie posters in recent years. I’ve had the opportunity to work on several independent international movies along with some promotional posters for Marvel and Fox, while Marjun has worked with local independent filmmakers. We pretty much had everything figured out before Respeto. What are your favorite movie posters of all time? I personally love the vintage posters of Universal Monsters: The Creature from the Black Lagoon, Dracula, etc. John Alvin's Blade Runner and Tom Chantrell's Star Wars poster are notable too. Marjun’s favorites are Struzan’s take on Star Wars, Hellboy, and Indiana Jones. What do you foresee in the future for posters of local movies? As the next generation of filmmakers and studios are slowly opening their doors to other styles of poster design, there’s no doubt that there’ll be improvement not only in the quality of posters being released, but also in the general appreciation of posters as a work of art. In fact, Hollywood has already started bringing the illustrated form in the fold. Respeto opens nationwide on Wednesday, September 20. For a full list of theaters that will be screening Respeto, visit the movie's Facebook page.